Product code: 1834 Categories: Sold Items, Sold Rings. 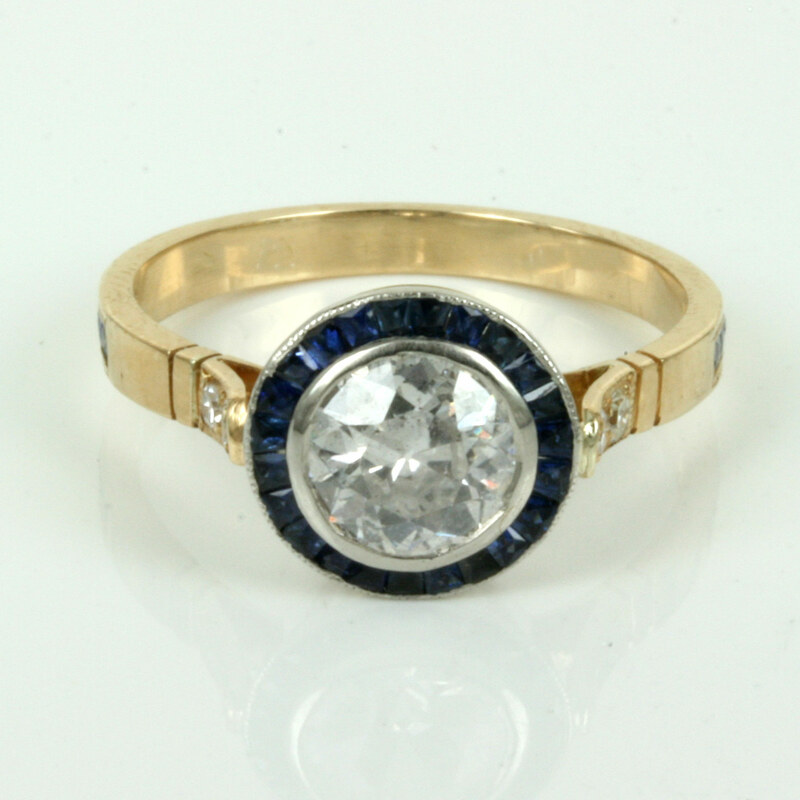 This Art Deco sapphire and diamond ring is so beautiful to admire and looks sensational. 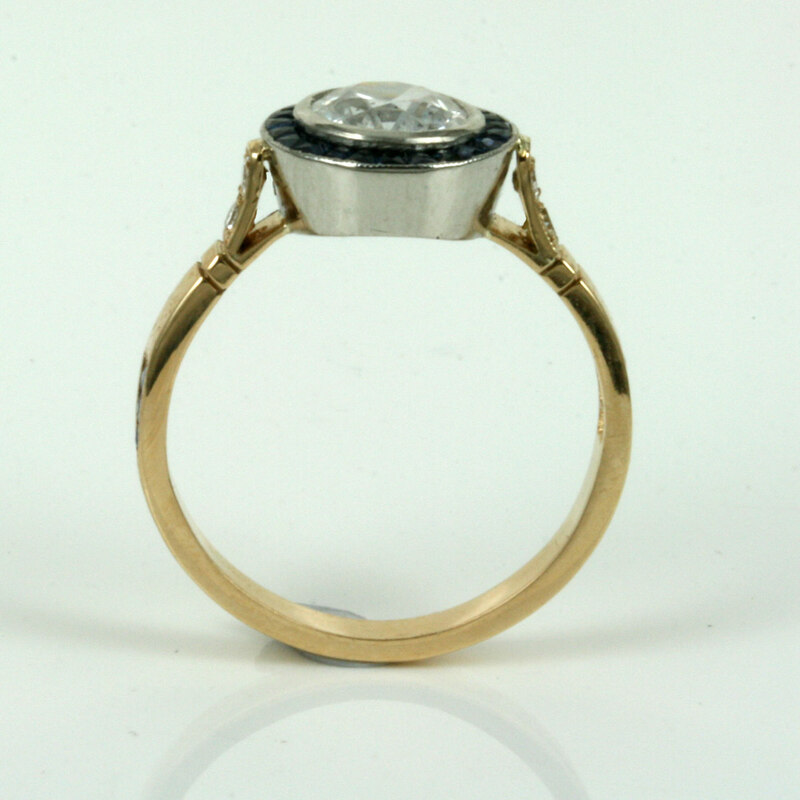 Hand made in the 1920’s, this Art Deco ring is made in 18ct yellow gold and platinum and set with a semi-modern round brilliant cut – the forerunner to today’s modern brilliant cut and measures 1.30 carats. It is H in colour and P1 clarity and is then surrounded by 23 natural sapphires which make this Art Deco ring even more delightful to look at. On each shoulder are another 2 diamonds on each side that total 0.12 carats giving this ring even more sparkle and further down the band the ring is set with three more sapphires on each side. 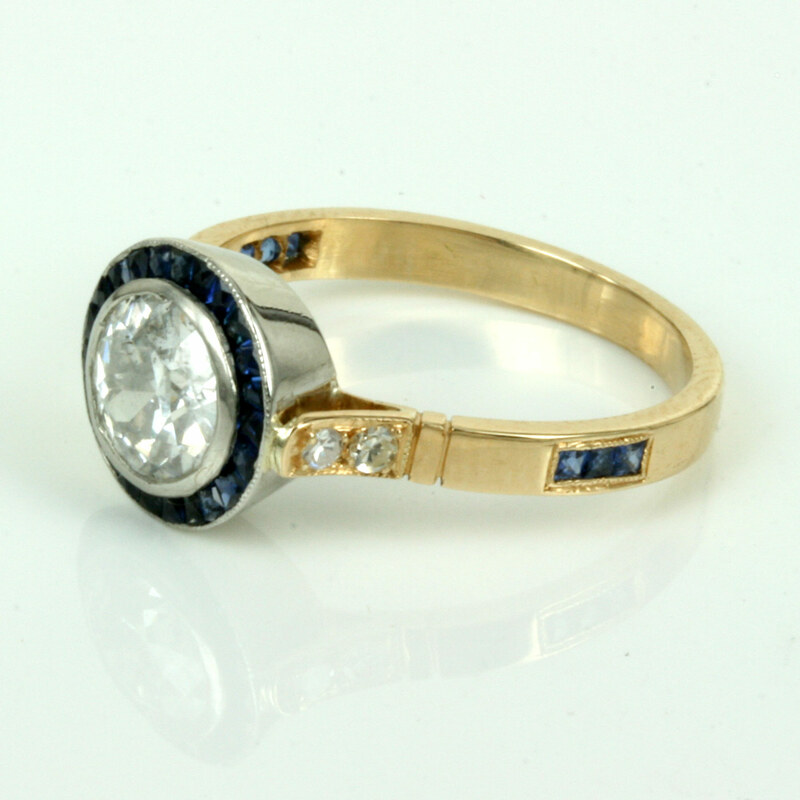 The total weight of the sapphires around the diamond and the ones further down the band is 0.38 carats and they are a wonderful blue colour that matches so well with the gold, platinum and diamonds. 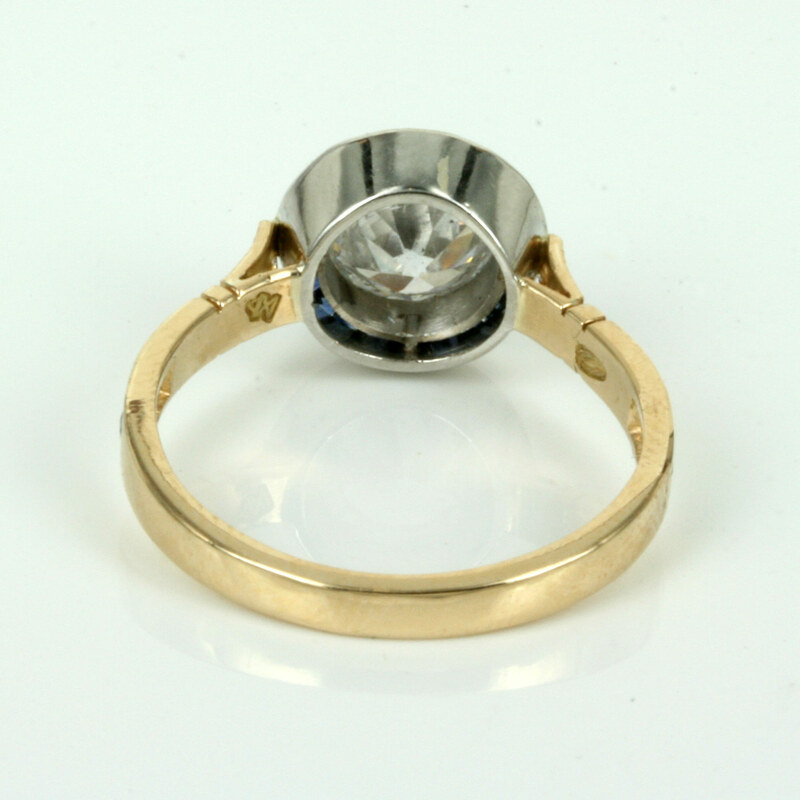 This is a terrific gold and platinum Art Deco ring that can be worn on any finger for any occasion and would also make a wonderful Art Deco engagement ring.